For 2013, the GMC Yukon XL remains mostly unchanged. 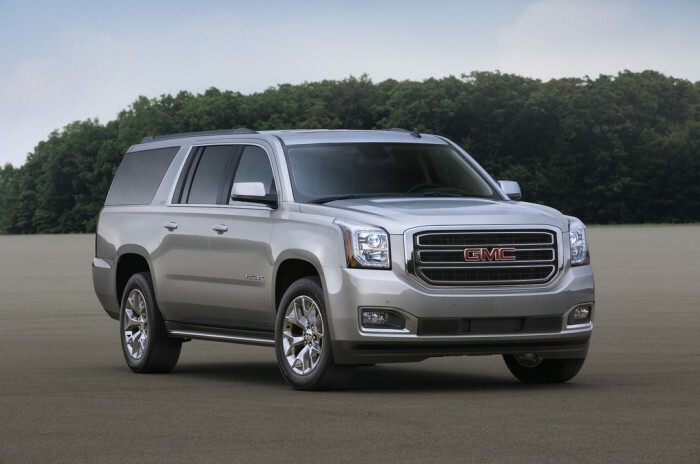 The commanding 2013 GMC Yukon XL is built to be as strong as it is accommodating. The distinctive lines, bold front fascia, and boxy shape turns heads on every corner. The Yukon XL is both refined and capable, coming standard with 17-inch alloy wheels, recovery hooks, running boards, full power accessories, and keyless entry. The Yukon XL 1500 comes standard with a 5.3-liter V8 that puts out 320 hp and 335 lb-ft of torque, the Yukon 2500 models come standard with a 6.0-liter V8 rated at 352 hp and 382 lb-ft of torque, and the Yukon XL Denali features an even more powerful 6.2-liter V8 creates 403 hp and 417 lb-ft of torque. When properly equipped, a Yukon XL 2500 can tow an impressive 9,600 pounds, so you’ll have no trouble brining your trailer, boat, or camper along for the ride. The Yukon XL 1500 with the 5.3-liter V8/2WD powertrain gets the best fuel mileage ratings, getting 15 mpg city, 21 mpg highway, and 17 mpg combined. From there, fuel efficiency ratings get lower depending on engine and powertrain, but remain respectable considering the Yukon XL’s size and performance. The Yukon XL’s interior is comfortable, quiet, and spacious. Featuring well-made materials, a practical dash layout, and appealing design, the Yukon XL feels luxurious and welcoming. The Yukon XL’s strongest selling point is that it can seat up to nine passengers depending on seating arrangements. Beyond the impressive seating capacity, the Yukon XL also offers cavernous interior cargo space. The Yukon XL boasts 49 cubic feet behind the third row, and a massive 137.4 cubic feet when both rear rows are stored. The GMC Yukon XL comes standard with stability control, antilock disc brakes, side curtain airbags, front side airbags, and OnStar. 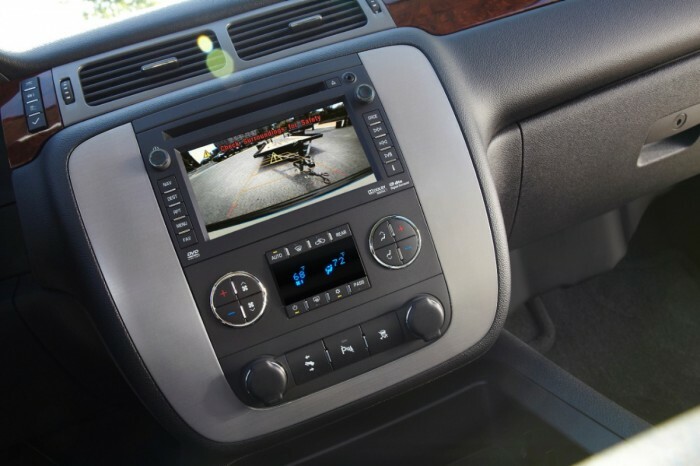 A blind-spot alert system comes standard on the Denali and is optional on the SLT. The 2013 GMC Yukon XL received four out of five stars for overall crash protection in government crash tests, with five stars for both overall frontal and side protection.